Make a realistic and stylish presentation of your creative flyer designs with this Free Letter Size Paper Flyer Template on Wood Mockup. 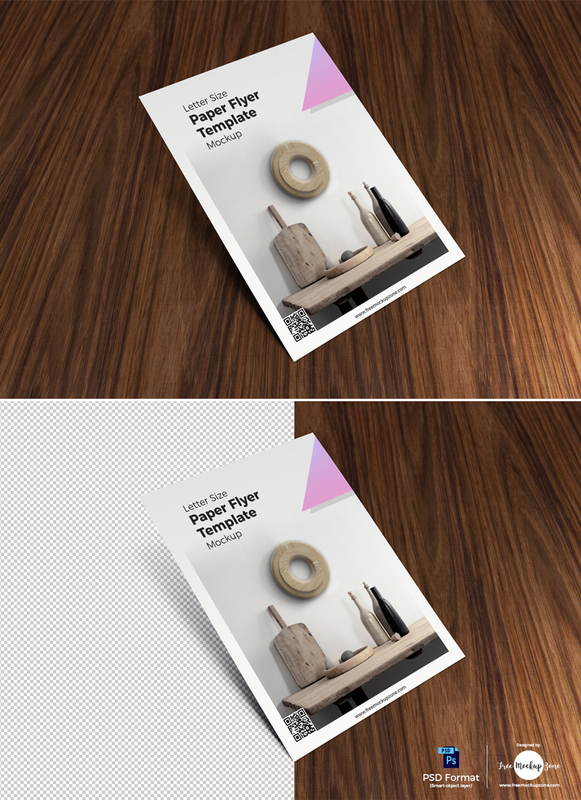 This incredible flyer mockup is designed in PSD format. Designers feel free to use it and can make changes according to their designs and presentation. Via smart-object layer get the fabulous presentation. Always hooked with us for our all free mockups.